After you’ve planned your perfect wedding, you want to make sure you have everything in order for the perfect honeymoon as well. But it’s not as simple as jumping onto the next plane and landing at your tropical destination. It takes time, effort, and strategic planning. Honeymoons can be expensive: the average price for a couple’s honeymoon is $5,000! After you’ve just spent all this money on your wedding, another huge expense can be scary to think about. But your honeymoon, like your wedding, is only going to happen once. So take the time to prepare so you can pull off a glitch-free trip. Here are some tips to plan for an unforgettable honeymoon. Before you plan anything, analyze your financial situation and come up with a budget for the trip. That will help narrow down the choice of destination because you’ll be able to eliminate places you can’t afford. Do you want to travel halfway across the world to an exotic country? Or relax on a tropical island with your feet in the sand? Or maybe just take a long weekend somewhere close to home? If you need help deciding, consider using a travel agent to get you the best value for your dream location. They’ll guide you with travel assistance, recommendations, and perks. Also, set aside separate funds for any excursions and extra spending money you might need. Travel credit cards can be a great way to spend now and worry later. Many offer rewards as you spend, which is just an added bonus! You could also look into a low-interest loan. Believe it or not, loans used properly can be a smart financial decision to allow you to achieve your dream honeymoon. The low-interest rates can often be much lower than a credit card. And if you already have miles saved up, this is the time to cash them in! Although following a budget might not lower your overall costs, it will help you not overspend. While registries for your bridal shower and wedding can be great to get something you and your hubby would never buy for yourselves, most soon-to-be-married couples already have most of what they need. If you prefer gifts outside the traditional wedding registry ideas, sign up for a honeymoon registry. It’s a perfect way for wedding couples to register for what they really want, and it allows you to save money on your wedding and still be able to do all the things you hoped for. Instead of just giving you cash or buying you a gravy boat you’ll never use, a honeymoon registry will allow your guests to gift you items that you can enjoy like your airfare, a couples massage, or horseback riding. There are so many details that go into a honeymoon, and all of them can continue to add up. When planning your honeymoon, look into all-inclusive packages that include flight, hotel, food, and drinks to get a better value for your money. Travel agents can also help you find honeymoon packages and score you some amazing deals with a range of options. Some hotels will offer a special honeymoon package that offers more nights or an evening with champagne and a special dinner. So do your research and compare prices on different travel sites to see what you can get for your budget. Check out all-inclusive packages on Groupon. Depending on the package you choose, excursions like guided tours, couples massages and extra luxuries will be extra! Read online reviews on the resort you’re visiting to learn more about their amenities and past customers’ experiences to make your decision. It’s always nice to hear from someone who has experienced it to see if they thought it was worth the money. Try to book your honeymoon at a place during their off-season to save money. A lot of tropical locations have peak seasons during the colder months with most people wanting to get away from the snow or frigid temperatures. For example, islands in the Caribbeans have high temperatures year long, but prices peak during the months of January to April due to East Coasters wanting to escape the cold winter. You can still expect temperatures in the mid-70s to mid-80s. March is prime Spring Break season, and prices can double so shift your honeymoon to May and you’ll save hundreds of dollars. Choosing to take your honeymoon during a resort’s off-season means they’ll be less crowded, which is a win-win situation for any vacation. A quiet resort makes for an intimate honeymoon that you and the love of your life will enjoy. Buying airline tickets in advance will allow you to pay the lowest price and save an average of six percent on airfare. You’ll want to compare prices and consistently check fare rates to see when you can get the best price. According to CheapAir, the fare for a flight changes an average of 71 times between its opening and the day it takes off. When you find a really great deal, book it because it probably won’t last long! During the slower months, tourism-dependent businesses are seeking new customers, so keep an eye out for price drops. Your newly married, so why not boast about it! In many cases, you won’t be the only one honeymooning at that location. By just simply talking about the fact that you’re on your honeymoon can not only create some new friendships with other couples but it may also get you some perks! It isn’t guaranteed you’ll get anything special, (and you shouldn’t expect anything) but it doesn’t hurt to tell the bartender at the airport or the person checking you in at the hotel that you’re newlyweds! You can even ask directly if there’s anything they can do. You never know if you’ll receive complimentary upgrades or free flutes of champagne. A honeymoon is a fun thing to plan, and it’s a great opportunity to kick back after the long months of wedding planning and enjoy it with the love of your life. This isn’t just like any other vacation, so you want to make sure you organize a special trip, and that you save money along the way. 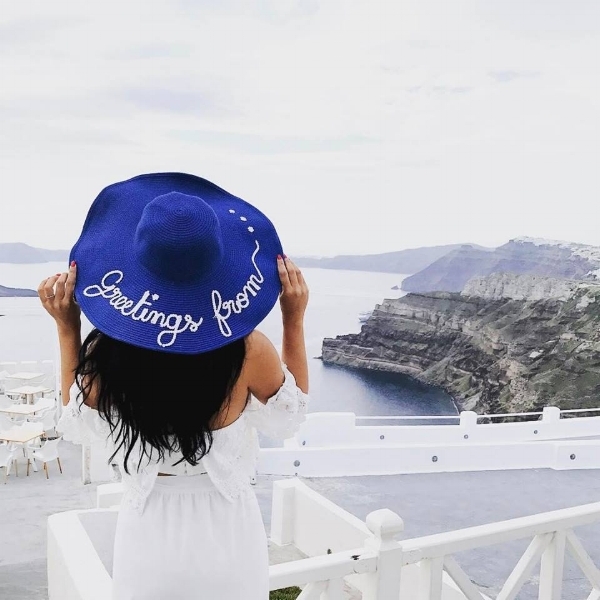 There are plenty of expenses that come with a wedding, so do what you can to cut costs while still planning your dream honeymoon. You’re married now, so go relax and celebrate! Lavish Travels is a boutique travel agency specializing in honeymoons tailored to each couples desire and wishes. Here at Lavish Travels, we'll create a custom , exciting and romantic honeymoon for your first trip as a married couple.It's our job to make sure that you will embark on a once in a lifetime trip!